Lily was born in the Prince Regent River area of Western Australia known as Woomban-goo-wan-gorr, her father’s Country. Both parents were from the Woonambal tribe and living a traditional lifestyle. Lily was given the name of Mindindil meaning ‘bubbles’ after her father looked down into the spring water from the top of the hill and saw the spring bubbling a few hours after Lily was born. As a newborn she was carried around in a bark coolamon called namarrga, which Lily also produces and paints. To quote Worrora woman Leah Umbagai, "The Wandjina is a supreme being that created the country, gave us the laws of the land, and we have to obey and follow it. The Wandjina is not just a big picture on the wall, it's the trees, it's the rocks, it's the water, it's the seasons, it's everything … it lets us Wandjina people know who we are, and how to live our life." They were considered sacred by three tribes in the area. 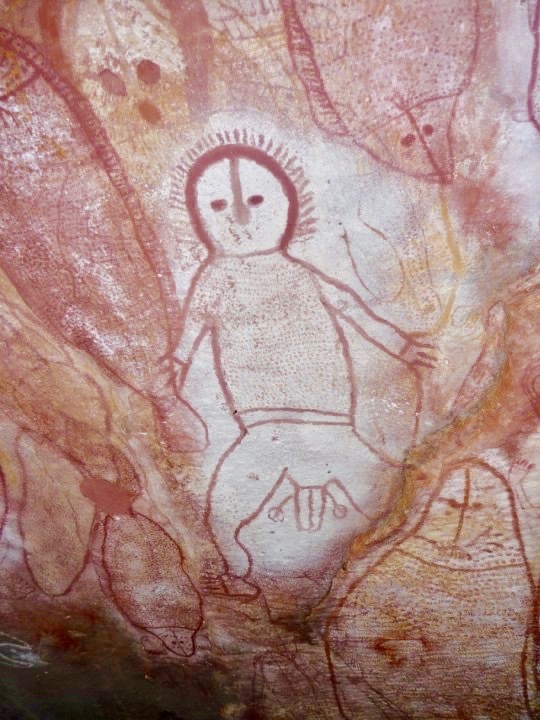 Rock art representation of Wandjina can be found through the Kimberley, dating back some 4,000 years.